Our fabulous Moby makeover is finally here! In addition to a spiffy new layout, students will now be able to customize colors and backgrounds on their Moby student dashboard. 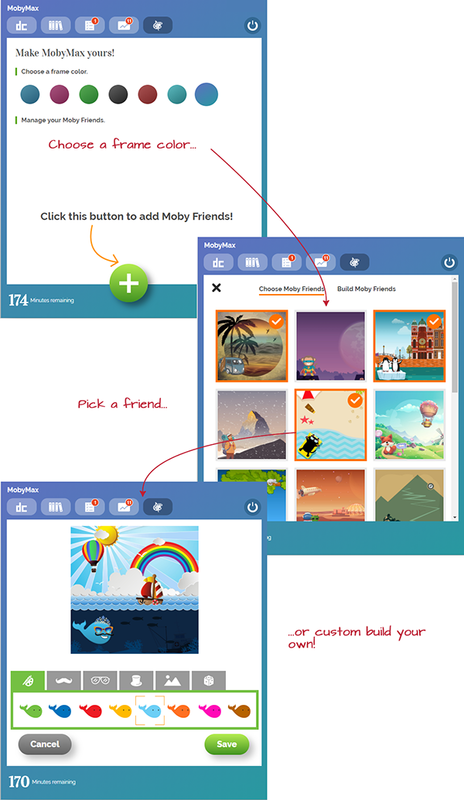 They'll also be able to choose brand new Moby friends or create custom friends. What a great way to start the school year! If you'd like to hide any of these features, just visit your settings menu.